Throughout History, Nitric Acid has been called Aqua Regina, which is Latin meaning "royal water", by ancient scientists and chemists who first discovered it. Nitric Acid has the name Aque Regina due to the fact that beacuse to its corrosive behavior, it is one of few "reagents" that can dissolve metals such as gold and platinum. "Take a pound of Cyprus vitriol, a pound and a half of Saltpetre, and a quarter of a pound of alum. Submit the whole to distillation, in order to withdraw a liquor which has a high solvent action. 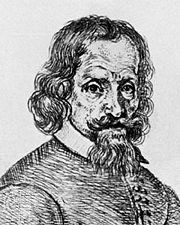 The dissolving power of the acid is greatly augmented if it be mixed with some sal ammoniac, for it will then dissolve gold, silver and sulphur"
After the discovery from Jabir ibn Hayyan, a Dutch Chemist named Johann Rudolf Glauber (1604-1670) made a new discovery, he was the first to make the compound Nitric Acid, with the distillation of salt peter and sulfuric acid. The compound that he created, was later named "Glaubers Salt", after the man who discovered it.